The internet is magic. Of course we all know that from our everyday lives of emailing, texts, and social networking, but I am also willing to bet that everyone has stumbled upon something that they would NEVER have found without the internet. Something special, something that maybe only your imaginary internet friends understand. Well, that something for me is Korean Dramas. Back when I was in college, we had the International Channel and it was amazing. I don't even remember what it was that made me watch the channel at first, but it wasn't long before I was trying to time my study breaks around the anime, Asian cooking shows, music videos (so many colors) and DRAMAS! It's funny because even back then I remember my friends rolling their eyes at me when I told them about my new discovery of Asian soap operas. In their eyes, American soap operas were so awful, they couldn't understand why in the world a person would want to seek out more of them from other countries. To be honest, they might have had a point. But I had subtitles and the habits of a night owl...so whatever. At some point in school, our provider changed and the International Channel went away. I moved on, because well, college is hard work and didn't think about Asian dramas again until I had graduated and was living with my sister. Then something happened – an anime fansite I was reading mentioned that they also provided fan-subs of Asian Dramas, more specifically Korean Dramas (or K-dramas). OPEN THE FLOODGATES. I spent the next month watching Full House in 7 mins increments on YouTube and I have never looked back since. Best (or worst?) of all, you can easily watch these shows on Netflix, Hulu, and a whole bunch of websites. At this point you might be thinking "Why, Smalerie? Why spend your precious time watching these things?" Well, there are several reasons actually. They are predictable: Think of it this way, Korean Dramas are live action comic books. If they are not sourced from an Asian comic directly, they follow many of the same tropes and structure. They can be cute, angsty, or deadly serious, but in all cases filled with the DRAMA! In fact, most of the romantic comedy dramas I watch follow the same pattern: guy and girl meet (or have been secretly in love since they were gestating), thin plot begins, someone gets a piggy back ride, another person gets a fever, hands are held, there is some misunderstanding or noble sacrifice, everyone ends up happy (and maybe a few end up dead). The End. There is an ease to this predictability. They are easy to start and stop and don't require much processing. This can be oddly refreshing after a tough day at work or while decompressing on the weekend. Especially when you have spent way too many hours catching up on Hannibal (commence internal screaming). They are so glossy: There are a lot of rich people in Korean Dramas, not unlike American soap operas. And with rich people comes FASHION. Seriously, with all capital letters. Regardless of how you feel about some of it, I personally find it fascinating. They can teach you something about Korean Culture: I would never say that this is the best way to learn about Korean life-style and culture, but Korean Dramas have led me to read a lot about Korean culture when there are things I am unfamiliar with. There are also a lot of great K-drama blogs that help put the stories in their cultural context. Now, I would be remiss if I didn't take a moment to discuss the thing that drives me insane about k-dramas and that is how they often depict women. While it can be challenging to find a well-rounded character in a soap opera, I have trouble with so many of the female characters. The leads are often a mix of the following- filled with heart, adorably clumsy, and her main purpose is to teach the guy that there are feelings other than brooding and annoyance. OR – a spoiled brat who is about to learn an important lesson in life. There is a chance that you are going to have to dig through a lot of junk to get to the good ones. Just like everything else, some are great, others nigh-unwatchable. My advice to keep yourself from getting overwhelmed is to do a little online research. There are fan favorites, and a lot of people are online telling each other the things they like and the shows that they enjoyed. Also, never force yourself. Some series are VERY long, like 24 episodes that run over an hour. As a result, things can drag in the middle. I think it is perfectly ok to read a few recaps and pick it up further into the show. Heck, I've dropped some shows completely once they lose my interest. So, if you are still interested in after this long rant, here are a few of my favorites that might be a nice starting point. Note: series marked with * can be found on Netflix. Full House – The series that got me hooked. An aspiring writer is tricked by her friends into thinking she has won a vacation. While she is gone, they sell her house to a famous actor. When she comes home, the actor agrees to let her work as his maid in order to buy her house back. BOOM! ROMANCE! 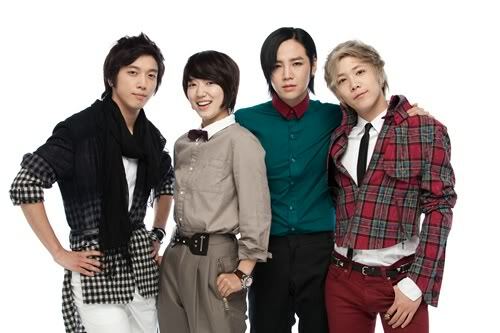 Boys Over Flowers* - Based on the Japanese manga, this one comes up all the time as a favorite. It's a modern day high school Cinderella story and hits every mark for your typical drama. You're Beautiful* - Ok, stay with me here. Aspiring nun disguises herself as her twin brother so that she can fill in for him in his boy band when he needs to go to the US to fix some botched plastic surgery. Yes, it's ridiculous, but I think it is supposed to be. This is one of the few series that actually made me laugh. Shut Up Flower Boy Band* - Teenage punk band. 'Nuff said. 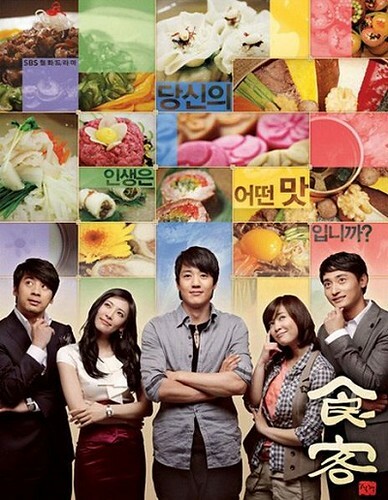 Gourmet – There are a lot of dramas about food that not only have an interesting story, but also take time to talk about food traditions and culture. This is one of the better ones. So, is there a possibility that one or more of our readers is also a fan of Korean or other Asian Dramas? Wanna swap some recommendations? Or maybe you have more questions for me about dramas in general? See that comment box below. It's your big chance, so take it!